Long-time local Chicago clients, Stay in Lisle, recently approached us for a full WordPress redesign. Since the lifespan of most websites is 2-3 years, it wasn’t surprising that the company wanted an improved website design with enhanced looks and functionality. The new site showcases more visuals and imagery that expresses the beauty of Lisle, and provides a better user experience that allows users to navigate the site easily and more quickly. Finally, the new site is fully optimized, and features a responsive design that allows it to be viewed on any device. Here’s what we did for them. • The older site lacked visual imagery. The new site will feature high resolution photos of beautiful parks and recreation areas all over Lisle and its surrounding areas. • Too much green. Design & Promote completely reimagined the new site and updated the color scheme to include richer colors for a visual boost. • Inner-pages lacked functionality. We added functionality like tabs and other toggles to help people find information easily. Because people like to skim pages while reading, making information easy to find and digest is a great user experience (UX) design. • Calendar/Events page – Instead of a singular page users have to navigate to, the new calendar is now a feed that scrolls across every page. While visitors can still go to the calendar page to look for future events, the quick scroll on each page shows what events are coming up at a glance, and will ideally result in higher interest and turnout for events. • Special Offers page – The old website’s offer page had coupons aplenty, but the new site’s offer page is color-coded and organized by category, making it fast and easy for visitors to find coupons and deals for the service they’re interested in. • About Us/Meet the Team page – The smiling faces haven’t changed on this page, but the functionality has. Now, the staff photos and titles are front and center, instead of being reduced in order to fit additional information like duties and contact information. The new site features flip card images, so that when you mouse-over an image, it flips to reveal additional information and contact buttons. Are You Ready For An Improved Website Design? 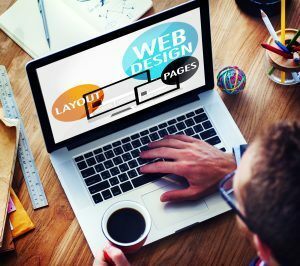 If you feel like your users could benefit from improved website design and functionality, it might be time for an improved website redesign. Design & Promote has been here for local Chicago clients, like Stay in Lisle, to not only build their initial website, but to help them imagine a redesign that will poise them to take their business to the next level. To learn more about website design services from Design & Promote, contact our Naperville website design company today!